Given its unique position as critical link between vehicle and infrastructure, the tyre industry is well positioned to help the automotive value chain as well policy makers meet safety, sustainability and autonomous driving challenges. The tyre of the future will be round, probably black and more than likely pneumatic. Beyond that, the variables in play—new materials, new manufacturing methods, changing vehicle designs and needs, electrification, autonomous driving, circular economy, etc.— lead to an evolving spider web of tyre parameters that put all features, except round, into play. One of the pillars that Bridgestone has identified as central to its sustainability strategy "Our Way to Serve" is mobility. The world around us and our industry is evolving at a rapid pace. To drive a sustainable end-to end process, we need to a relentless focus on all aspects of the tyre; from materials sourced, to the production process, fuel efficiency and ultimately, the end-of tyre life. As the future of our vehicles is CASE (connected, autonomous, shared and electrified), how can new and existing technologies ensure tyres that last longer, use less or sustainable materials, provide continued and cleaner mobility and efficiencies to fleets and consumers?Mr. de Valroger will dive into these topics with concrete examples from Bridgestone’s innovation pipeline. Dan Rogers, a leading expert in the tire industry from Smithers Rapra, will delve into some of the current and future trends that will affect the industry in the area of sustainability and much more. The Global Platform for Sustainable Natural Rubber (GPSNR) was formed in March 2019 to identify sustainable rubber sources and find new approaches to the sustainable natural rubber supply chain. The platform, Initiated by the World Business Council for Sustainable Development (WBCSD), the group includes automakers, rubber producers, tire companies and civil service organizations. Learn more about this group's goals and plans and how it will affect the tire industry in the future. The editor of Tire Recycling Magazine will outline progress made in the recycling of tire, what developments are most promising and what still needs to be accomplished to fulfill industry goals to increase recycling rates. Panel Discussion: Is the tire industry a leader or a follower in the field of sustainability? Learn how the tire industry is responding to sustainability initiatives from a materials and compounding point of view and what needs to be accomplished. Massimo Cialone of Hankook's European Technical Center will offer his perspective on how sustainability is affecting material development. The advent of mobility initiatives in the automotive industry have had a corresponding effect on tire production and advanced material development. Arancha Guisuraga of ExxonChemical will explore the emergence of new vehicles and the impact on tire materials. The motivations, approaches, technologies and tire recycling rates in the regions of the world are very different. What is shared is the high complexity from feedstock collection up to the value adding marketing of tire recycling products. Best practices will be shared and opportunities for growth of tire recycling industries with all three tire recycling processes will be sketched. Jens Kiesewetter of Evonik will discuss how the company is embracing sustainability and contributing to more resource-efficient tires. The presentation will outline Evonik's sustainability commitments, strategy and targets, showing details about its life cycle assessment on silica in tires and its targets for actual developments. Challenges faced include more stringent legislation and wet braking needs, combined with the need of more load carrying capacity due to heavy battery weight. Panel Discussion: How close can the tire industry get to meeting the goal of tires made from 100% sustainable materials? Hear for a leading tire producer how responsible tire sourcing will become of critical need in the automotive industry and what is being done by those in the rubber industry and other groups to improve the procurement of rubber from ethical sources. Tires are very sophisticated high-quality products and constantly improved in terms of efficiency, safety and environmental impact. Unfortunately, to date, tires have not been designed for recycling and material reuse. Rubber is a very durable material, and this hampers the re-processing and re-use of rubber. Nonetheless, there is a variety of recycled rubber products on the market: granulate, powder, reclaim and devulcanizate. However, the fact that tires are built from different types of compounds containing different polymers and fillers limits the quality of the recycled material. Dr. WIlma Dierkes of the University of Twente will present a study on this issue and ways to overcome some of the drawbacks. Future sustainable tire factories will manufacture tires economically and efficiently, while protecting employees and consumers and minimizing negative environmental impacts. How can automation help tire makers? Cimcorp’s Dream Factory solution is based on lean methodology, which minimizes waiting times, reduces inventory (WIP) and ensures maximum availability of components at process machines. Automation enables higher capacity with less equipment and smaller investment. Energy consumption can also be reduced by choosing eco-friendly handling equipment. Industry 4.0 and IIoT bring new opportunities for proactive maintenance and reductions in defects/scrap. Automation is also about people. Work is eased and safety enhanced by transferring strenuous or even dangerous tasks over to machinery. The recycling of tyres is, seen as a great success in comparison with the recycling rates of other industrie. However, only a small amount of tyres is truly recycled, as opposed to downcycled, and material recycling of tyre rubber could play a much more significant role in the treatment of end of life tyres. More materials-focussed recycling could decrease the environmental footprint of tyres throughout the life cycle. This paper explores the barriers to material recycling of tyres and problems that hinder further recycling. Two of the key issues in creating a true circular economy for tyre rubber are to understand the materials science and to guarantee the quality of the product. This paper speaks to both aspects. It discusses the physics of incorporating rubber powder into new rubber compounds and looks at biological, chemical and physical treatments to the rubber powder to improve the circularity of its use. A new RF-free dipping technology - freely available to everyone! Kordsa and Continental have co-developed an environmentally friendly adhesion system for bonding textile reinforcement materials to rubber based compounds without resorcinol or formaldehyde. The development is motivated by the companies' commitment to sustainability and to define a new standard for the tire industry. A pioneering approach for the tire industry has been taken to reach this goal: the companies are sharing our adhesion technology via a royalty-free licensing concept. This concept includes an open source strategy which enables all interested parties to further develop the initial technology and provides the opportunity to combine the know-how of the licensing pool members for the benefit of all. During the presentation, Thomas Kramer of Continental and Burak Ilgun of Kordsa will share updates on the latest developments and responses received from the industry. Panel Discussion: Which equipment and process technologies will play the biggest role in improving the environmental performance of the tire industry? Closing Panel: How will sustainability change the tyre manufacturing industry over the next decade? 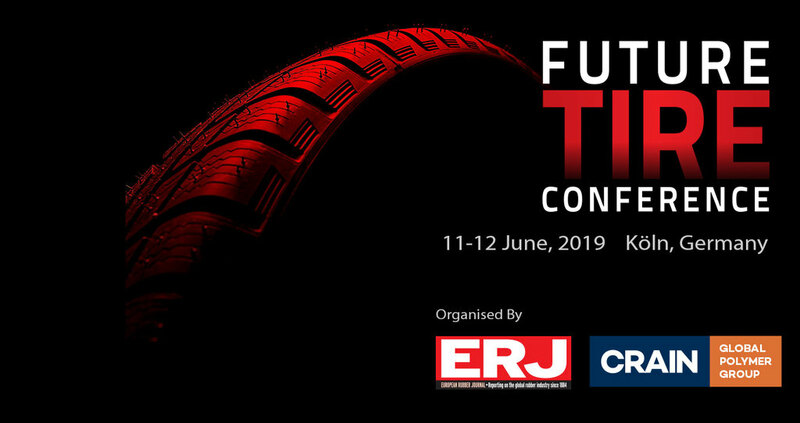 Future Tire will culminate with this extended discussion platform, which will draw on conclusions from the discussions and debate over the two-day conference. With active participation from delegates, the top-level panel – representing a broad range of stakeholders – will map the way forward and forecast what lies ahead for the sustainable tire industry of the future. More details to follow as we confirm details for the full panel line-up for this important discussion.